Climbers can fall off mountains for a variety of reasons. Clumsiness, incompetence, bad luck, shoddy equipment, natural causes or – if you’re Joe Simpson – because somebody above you has cut the rope. But there’s one common cause in every plummet: the law of gravity, discovered in the 1660s (as legend has it) by the British scientist Sir Isaac Newton, after being struck on the head by an apple. I expect you know this already, but Newton’s law states that bodies attract in proportion to their mass (which, if nothing else, would be as good a reason as any for eating more chocolate cake). The force of attraction diminishes with distance. 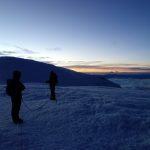 Newton even produced a fancy formula to calculate by just how much, but as this blog is about mountaineering I’m not going to bore you with it here. The phenomenon isn’t observable in very small objects, such as a jar of Marmite in close proximity to a tongue, but it becomes clearer in enormous objects such as stars or planets. Newton realised that the same principle that keeps a planet in orbit around the sun, also causes a glass of beer to fall to Earth when you drop it (it doesn’t explain why I catch it so quickly after knocking it over). Conversely, without this tug of attraction the Earth would pass by the sun and shoot off into space (a very bad thing) and the glass of beer would float in the air without falling to ground (more useful). But why the devil am I telling you all this, and what on earth has it got to do with mountains? Ah well, that’s the interesting bit. This isn’t the first time I’ve introduced science into this blog. 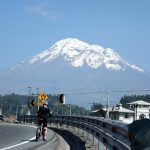 A couple of years ago I even showed you an impenetrable mathematical formula I spotted on a science blog that’s supposed to prove that Chimborazo is the highest mountain in the world when measured from the centre of the earth. It’s also not the first time that Chimborazo has proved of interest to scientists. 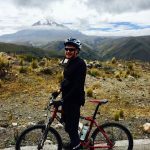 I may have mentioned that I’m currently writing my second full-length book, the follow up to Seven Steps from Snowdon to Everest, about our Chimborazo sea to summit adventure last year. The book will have the usual sprinkling of mountain history, and I’ve been reading about the French Geodesic Mission to Ecuador in the 18th century. The aim of the French Geodesic Mission was to resolve a long-running scientific debate about the shape of the Earth. On one side, coincidentally, were the followers of Newton, who thought the Earth bulged around the Equator and flattened at the poles (a shape known as oblate to clever people). On the other side were followers of the French philosopher René Descartes, who thought it was longer at the poles and narrower around the Equator (or prolate). No offence to any philosophers who might be reading, but a philosopher vs. a scientist? No prizes for guessing who ended up winning that one. It was also a matter of national importance. Never mind Brexit, the Hundred Years War, or the Six Nations rugby, these were mere handbag-waving besides the prolates and oblates. But in the end it took a team of French scientists to prove the British scientist Newton right. They realised that if they measured the length of a degree of latitude at the Equator (in Ecuador), and compared it with the length of a degree of latitude in France (or further north still) then they could discover the truth and end the debate – or at least until the 21st century, when some idiot could start it all up again by sharing an article by some other moron on Facebook which gets widely shared by other stupid people. In 1738, during a boring period between triangulating volcanoes (i.e. 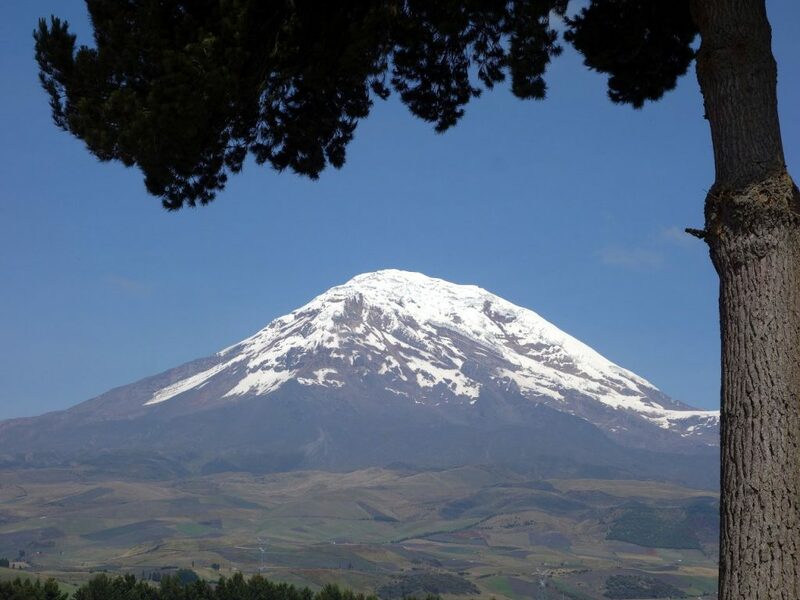 using a quadrant and basic trigonometry to calculate their heights), Bouguer decided to use Ecuador’s highest mountain, Chimborazo, to prove Newton’s theory of gravity. Newton had published his theories of gravity fifty years before the French mission to Ecuador, but they hadn’t been widely accepted at the time. Until then, scientists believed that all forces could only be exerted by one thing hitting another and knocking it. They could accept that a glass of beer might topple over because of the actions of a clumsy bonehead who was staggering around crashing into things, but to fall to the ground because of some weird invisible force that was able to influence the direction of an object without touching it? Well, that was a bit like magic, and magic has never been a commonly held scientific principle. While the principle of gravity had gained a little more traction by the time Bouguer found himself at a loose end in Ecuador, nobody had yet found a method of proving the fancy formula that went with it. That’s where Bouguer thought he might be able to help. Bouguer realised that if a mountain were big enough, then its gravitational pull should be sufficient to move a weight in a way that could be measured. Nobody had been able to do this in Europe, where mountains were not only smaller, but attached to other mountains that were just as big, and exerted gravitational forces of their own. But in Ecuador, with its huge, isolated volcanoes, it should be possible to devise an experiment to measure a mountain’s gravitational pull. The obvious candidate was Chimborazo, the biggest of them all, which rose 6,000m above the plains, and whose base had a diameter of 20km. All Bouguer needed for his experiment was a pendulum bob, which he would dangle from a string and wait for it to be attracted to the mountain. Oh, and a huge 4m zenith telescope, an unwieldy contraption for measuring the angles of stars. These were not easy to find in the hardware stores of Quito, but luckily they’d brought one with them from Europe. To establish the true direction of ‘down’ Bouguer would dangle his pendulum far away from any mountain that might exert a gravitational pull. 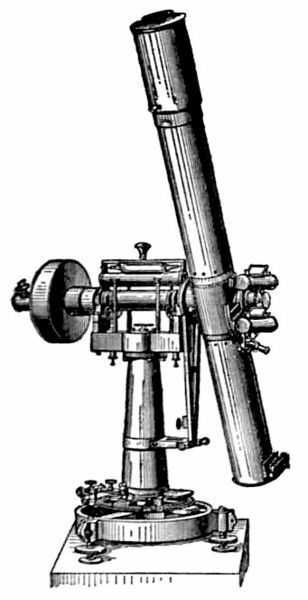 He would then use the big telescope to measure the angle of the bob to some stars overhead. He would then carry out the same measurement at the foot of Chimborazo, where the bob would be deflected ever so slightly towards the mountain. By subtracting the first angle from the second one, he could calculate the deflection caused by the mountain’s gravity. The experiment was only partially successfully, and it was years before anyone found out why. 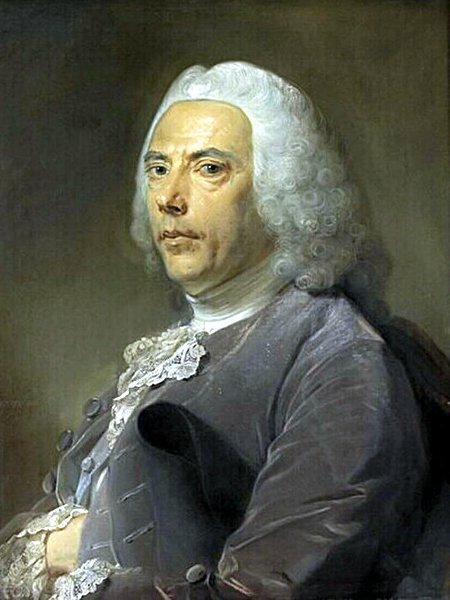 Using Newton’s formula, Bouguer predicted that the pendulum would be deflected by 1 minute 43 seconds, but it was only deflected a tiny 7 seconds – which, frankly, could have been caused by a nervous twitch, or even a large horse standing nearby. Bouguer was confused about the weaker gravitational pull. He speculated that perhaps Chimborazo was hollow and it therefore had a smaller mass (well, yes, I could have told him that volcanoes tend to be hollow). In fact the Earth’s crust is not a uniform density. It’s a bit like an old slab of Stilton cheese that has been sitting at the back of my dad’s fridge for too long, and has become riddled with little holes and big chunks of dense mould. A century later these gravitational deviations in the Earth’s crust would become known as Bouguer anomalies, a phrase I’ve started using in polite company as a substitute for rude words. That particular experiment may have been less than successful, but that’s science for you. In this respect it’s a bit like mountaineering. You don’t always get to the summit, but interesting things happen on the journey to get there, and you discover things you wouldn’t have seen had you not started out. I enjoy researching the book. The French Geodesic Mission to Ecuador is one of a number of interesting stories I’ve read in the course of my journey. There is a fantastic book about it called Measure of the Earth by Larrie D. Ferreiro, which explains all this stuff far more cleverly than I can. 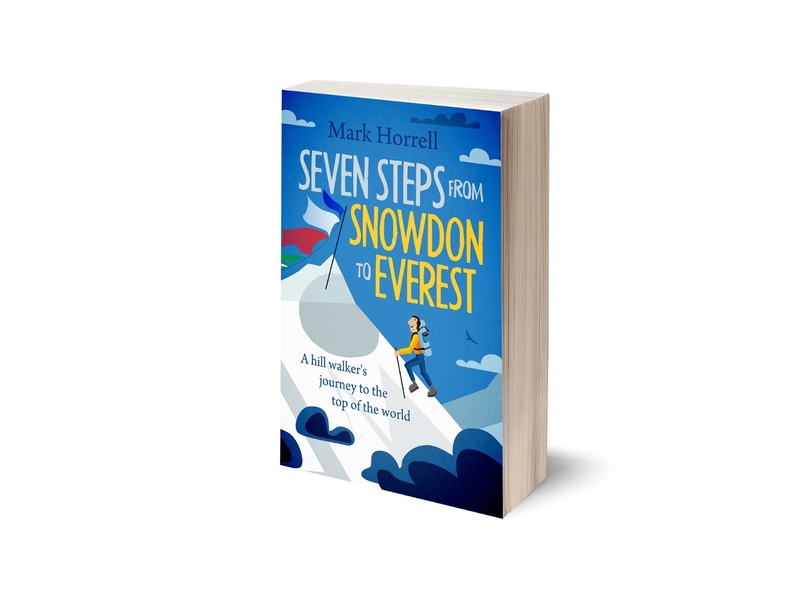 I’m still a good few metres away from the summit, but if you’ve enjoyed reading this, then pop back to my blog again for other stimulating titbits, and look out for the book when I finally get round to publishing it. In fact I’ve spent quite a bit of time reading Von Humboldt and his trip to the Chimborazo. He was an incredible scientist and not enough credit has been given to him by the British on Darwinian evolution. I surmise that Darwin quietly stashed his books in the Beagle! 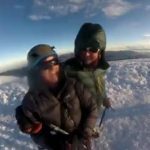 Great post, and I most enjoyed your line about how funny things always happen on the way to the summit even if one does not make it!